As LEGO has advanced, so has the artistry in the building techniques of its fans. As The LEGO Group has introduced smaller and more versatile parts to work with, LEGO builders have established new and more interesting techniques for building with these new parts. Unfortunately for newer builders, it can be daunting to figure out these techniques, but The Art of LEGO Design by Jordan Schwartz is here to show builders how to make the most out of their LEGO parts. It’s worth noting that Jordan Schwartz was one of the youngest designers ever hired by The LEGO Group at the age of 18 when he was brought on board. He has designed a number of official sets that you may have even built yourself, but now he is bringing that expertise to teach those techniques in this book. Throughout the book, Schwartz introduces parts that are found in many sets, but he quickly demonstrates alternate uses for them. From minifigure hands to 1 x 1 plates, the common parts are used as connectors and in directions that most people wouldn’t think of. Examples are quickly shown to illustrate what he is describing, but he does not give step by step directions, giving the reader options to explore based on his descriptions and photos. 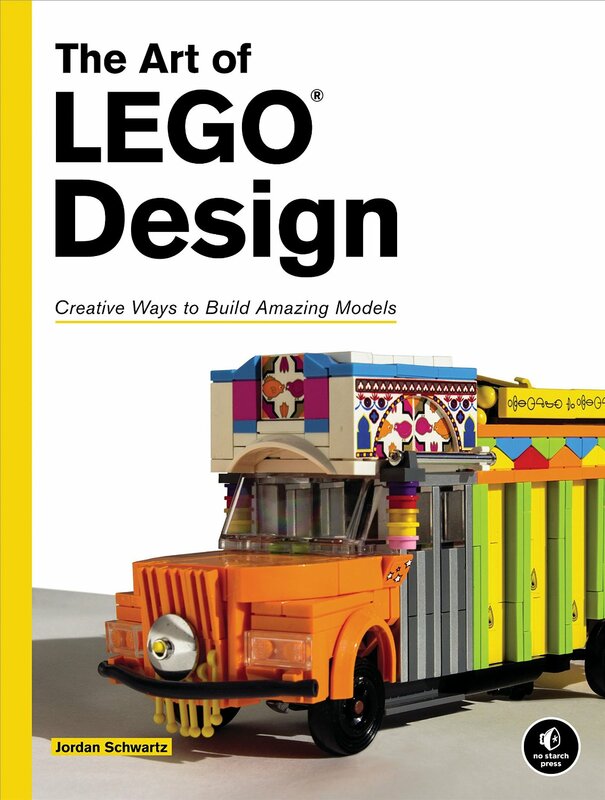 Quite a few times through the book, there are interviews with other notable LEGO builders to give more context to the techniques being described. The builders are usually the creators of a technique or those that are considered the leaders in specified technique, giving a more granular feel to the way that they build and give a different perspective than the author’s to give the reader a feel for why things are built certain ways to get a unique look. The Art of LEGO Design is a good book for learning different ways to orient your LEGO bricks to create more unique looks for building. It lets the reader see how and why things are built those ways rather than the more typical methods of building, and it inspires existing builders to elevate their game to create LEGO builds of the quality seen in the book.